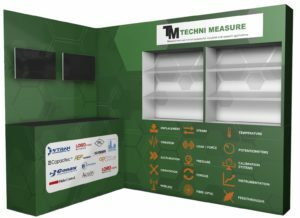 Techni Measure are pleased to announce the addition to our team of two new technical sales engineers. Malcolm Leahey joined us towards the end of May and is based with Andrew Ramage in our new Bristol office, with a focus on supporting our customers in the South of the country. Malcolm has extensive years of technical sales experience across various sectors and particularly in the field of cable and instrumentation connectors, so is already aware of many of the problems associated with the measurement world. This experience, coupled with our intensive technical training for the Techni Measure product range has Malcolm well equipped to support you. We will soon be employing a new sales engineer to join our team at Head Office in Doncaster, initially working closely with Steve Whitaker across our customer base throughout the North of the country. The new engineer will have experience in technical sales we look forward to training them and quickly bringing them up to speed with our product range. Steve Whitaker is retiring at the end of this year after a lifetime in the sensor business, the last 17 years of which have been with Techni Measure, and he will be missed. He will have a chance to introduce our new sales engineer to customers in the coming months, so please give them a good welcome and Steve a fond farewell. You will also have the opportunity to meet our new team members at the upcoming series of exhibitions (see Exhibtion page in the About sections of our website), at which we will be displaying our product range on our brand new display stand. As ever we look forward to meeting you and helping with your challenging applications.